If scrolling large Conlfuence pages up and down get on your nerves, we have a nice solution for you. 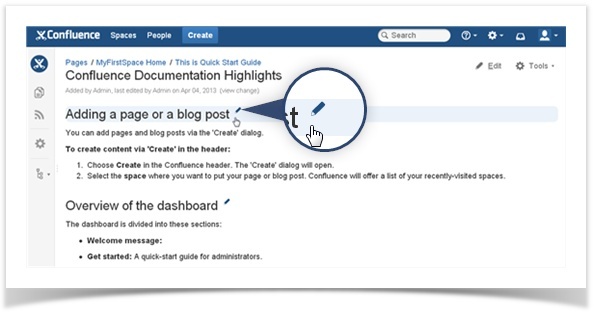 InPlace Editor lets you edit only a part of a page if it’s separated by headings. So you can focus on working with a small text chunk instead of roaming across the whole page. Not only that saves your time, you will also avoid access conflicts when collaborating on large documents. 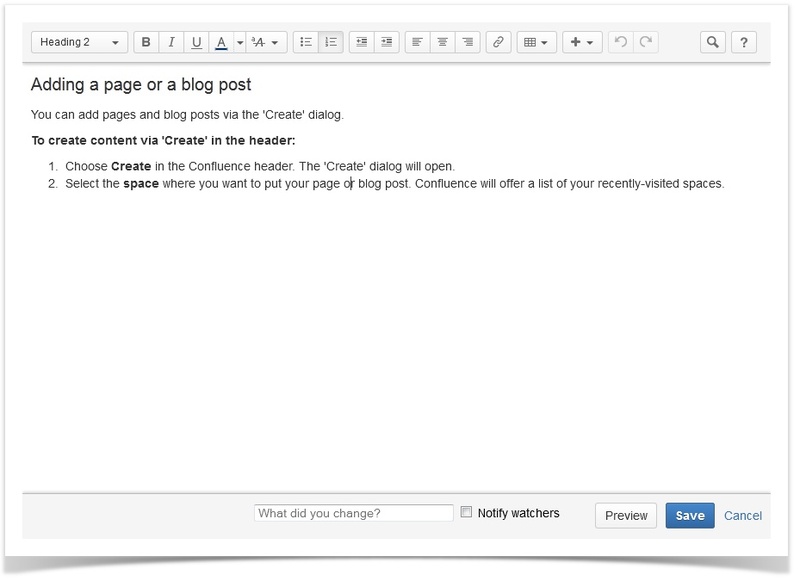 After installing InPlace Editor you will see its icon next to every heading on all Confluence pages. Clicking the icon will take you to the Edit mode where you’ll change only this selected division of the page. 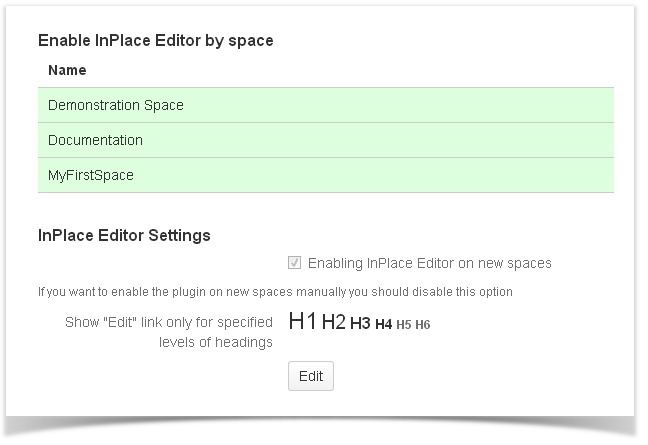 However, if you don’t want to use InPlace Editor for all types of headings in the add-on settings you can select only those that you need. Moreover, it’s possible to use the add-on only in certain spaces, this is also configurable. 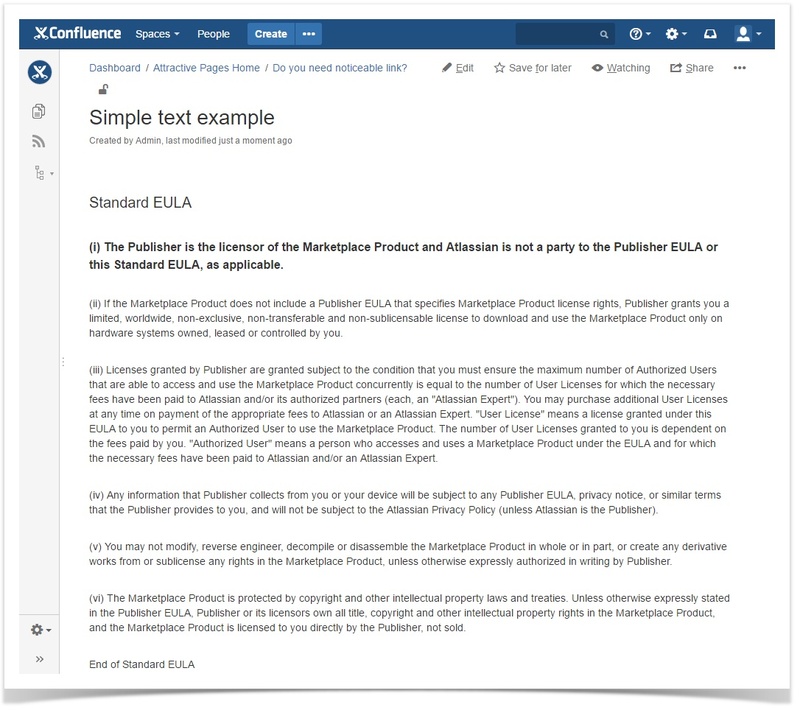 A newly released version of InPlace Editor is fully compatible with Confluence 5+ and is available for downloading on Atlassian Marketplace. Generate a free trial license, give it a try and tell us what you think about it.